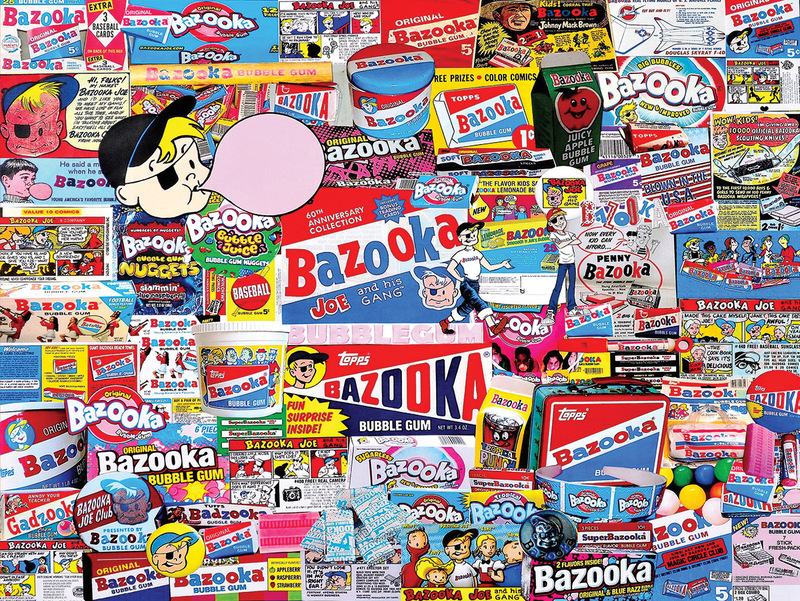 As a favorite of nearly every child from the 40's onward, Bazooka Bubble Gum and its name have brought about nostalgic memories in almost every adult in our current time. Now you can build your own homage to Bazooka in the form of this wonderful White Mountain, 1000 piece jigsaw puzzle! This image features wrappers from the iconic chewing gum brand dating back 70 years. This puzzle is perfect for families and those that love Bazooka as much as we do! It was so fun to put this puzzle together bringing me back to my childhood when all I chewed was Bazooka Bubble Gum, my favorite.